Business List Provider: Am-Pro - Mailing Lists | Marketing Lists | Telemarketing List Provider. 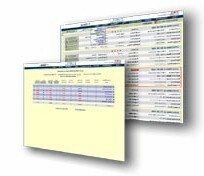 Am-Pro provides marketing lead lists and is not affiliated with Database Systems Corp. PLEASE NOTE - DSC does NOT provide sales and marketing leads. For the most targeted business-to-business marketing programs, use one of America�s most respected national mailing list companies, Am-Pro. As one of the selected national mailing list companies licensed by Dun & Bradstreet (D&B), Am-Pro is able to utilize the Dun & Bradstreet Business File, the largest and most accurate database of its kind. Sophisticated data collection tools and frequent updates assure that you are buying the best information possible in the market. The D&B database provides access to more than 18 million U.S. companies. When your job is to develop marketing and sales strategies geared to a specific target audience, your highest priority is to partner with one of the best mailing list brokers in the industry. To be considered one of the best mailing list companies, Am-Pro has made major investments in developing the most extensive and powerful database available. For over two decades, Am-Pro has provided customers with the most innovative mailing list techniques available. Today we are proud to be an online mailing list company with 24/7 availability through our online count and order system provider ListAbility. When you order lists online from Am-Pro, you�re getting the most up-to-date mailing lists available.